Caylyn will be found working and playing with her horses on a daily basis. If you see her at the local animal auctions, be assured there will be a new attraction at the farm shortly. She is sure to find new and inventive ways to bring the seasonal spirit to the property. Keep a look out for sleigh rides, haunted hay rides and many other events in the future that she is sure to come up with. Caylyn and Kevin, two people who have been together and climbing the corporate ladder for years. 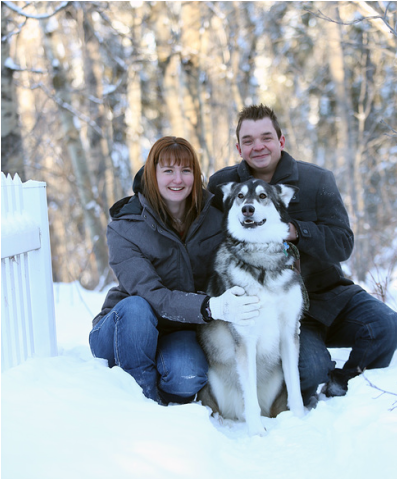 Caylyn was working in Health and Safety for large global companies, travelling across Canada and managing massive territories. Kevin has done everything in corporate sales from building businesses from the ground up to negotiating multi million dollar deals and everything in-between. What is the next logical step for these two? 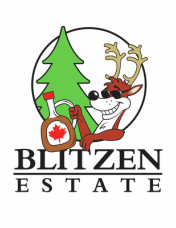 Give it all up and move to Jasper, Ontario to take on small town living and start "Blitzen Estate" your neighbourhood Christmas Tree, Maple Syrup and Horse Farm.